Coarse sea salt is a really good exfoliant. 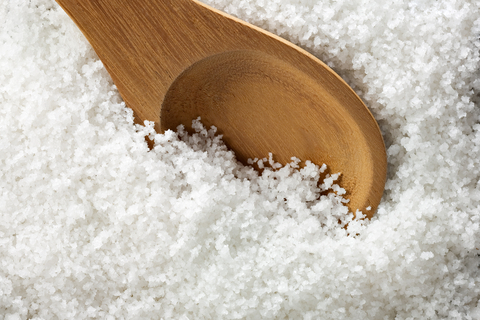 We use it in our Bath Salts to leave skin feeling lovely and soft. Also one of the main ingredients of our Sole Food, it's fantastic for softening harder skin that can build up on your feet. It makes your soles feel brand new!